A Granite MD has started delivering new kitchen renovation trends to their customers. There are new designs and new kitchen trends that have been introduced in the market and A Granite MD has mastered in installing this new kitchen renovation trends. LAS VEGAS - April 10, 2018 - PRLog -- A Granite MD is a registered kitchen and bathroom solution provider in the area of Las Vegas, Nevada. They have been providing kitchen and bathroom renovation solution for a long time and they have been keeping an eye out for new trends and designs. After the arrival of 2018, there have been some new renovation trends looming in the market which has been perfected by A Granite MD. The new renovation trends such as new cabinet designs, new designs, and material for the backsplash, new floor designs, etc. This new design trend is taking the home renovation industry by storm. The new renovation trends are known to enhance the design and aesthetics of the house. The new materials that are used in the renovation of the kitchen emit vibrant colors and can match the style and theme of the house. This is the reason the house owners opt for the renovation trends that will not only boost the aesthetics of the house but will sustain for a long time. The new materials that are used for kitchen renovation are quartz, granite, marble, and glass tiles for the backsplash. These materials are durable as well as cost-effective including the installation charges. 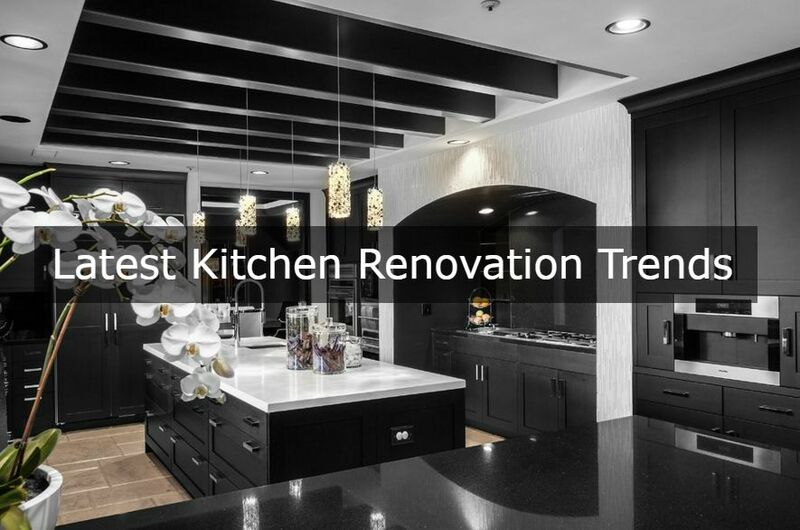 The new renovation trends are listed below which are in trend in 2018. Cabinets: The new cabinets with different colors such as Gray, White stray, Wooden Brown, etc are the new elegant choice for kitchens. As there are no kitchens with cabinets, these are getting popular by the moment. Countertops: The granite and marble are natural stone, so the design of those stones is one-of-a-kind. Whereas the quartz is engineered stone so the design can be customized according to the owner's needs. Hence the quartz is getting popular and moreover, the custom design is getting the attention of the house owners. Floors: The flooring has taken a drastic makeover with the arrival of the customized design of countertops. There are two types of flooring options available for house owners and those are hardwood floors and ceramic tiles. Even though the hardwood floor is the popular choice, having ceramic tiles have made many homeowners realize the sophisticated look that it offers. The A Granite MD is a Las Vegas-based granite and quartz countertop provider since 2000. Their 18-years of experience have made them a proficient worker in the field. They provide countertop installation with stones such as quartz, granite, and marble along with backsplash installation.